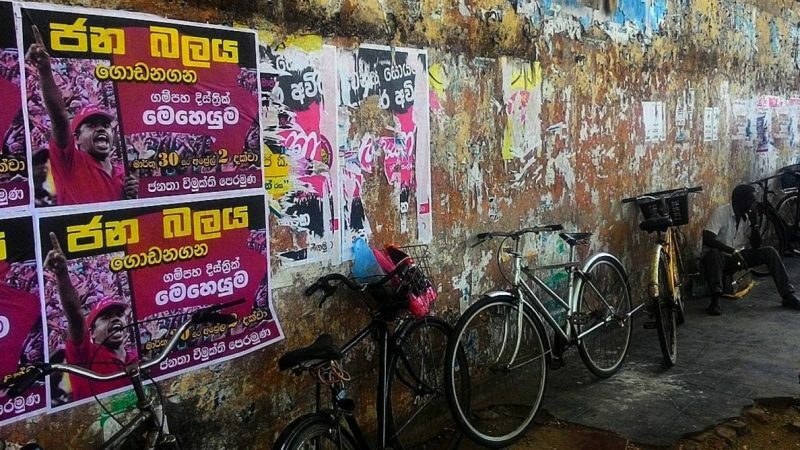 Citizen power: Posters for an upcoming Janatha Vimukthi Peramuṇa party rally outside the old Negombo market on Sea Street. Photo by @amaliniii. Taken at this years Instameet, held in Negombo. This post by Raisa Wickrematunge  originally appeared on Groundviews, an award-winning citizen journalism website in Sri Lanka. An edited version is published below as part of a content-sharing agreement with Global Voices. On March 26, 2017, a group of 13 or so people created some confusion among the vendors at the old market on Sea Street in Negombo city  at the West coast of Sri Lanka. “Where are you from?” was an oft-repeated question. Armed with cameras and smartphones, perhaps the group did look like tourists. 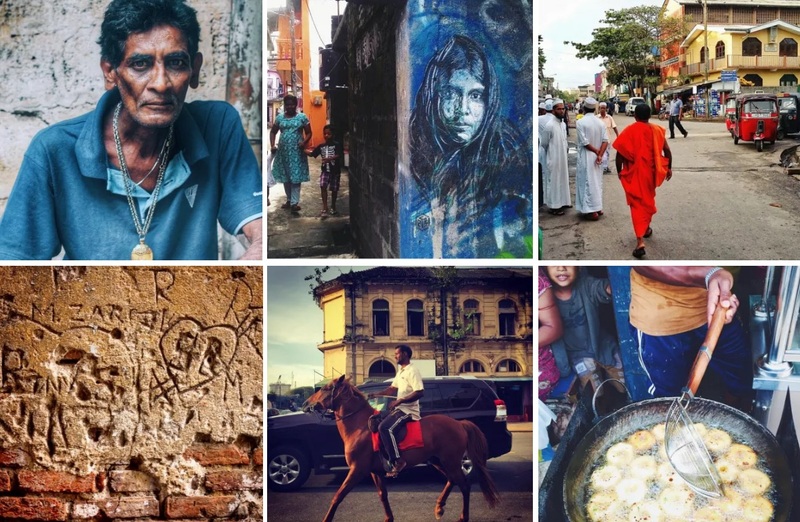 In fact, the group was participating in Instameet Sri Lanka  – part of a global event where users of Instagram in a particular country or locality connect. There are usually two Instameets held a year, and across the world, Instagram users organise their own meetings on that date. 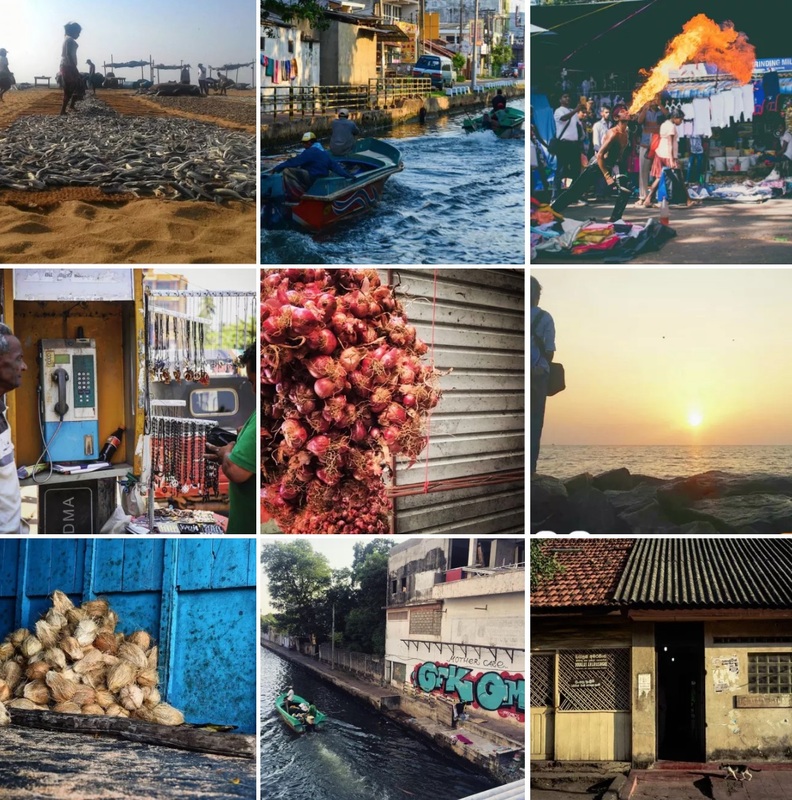 Yet while the group might have looked like tourists, the participants of Instameet all had something in common – a desire not just to meet the people they otherwise would only know of from scrolling through their timelines, but also to explore and document the chosen location – Negombo. Some of the asides of Aadil Marzook during the walk revealed much about Negombo’s culture and history that wouldn’t be found in a guidebook, and would often go un-captured by the tourist’s lens. The front of St. Mary’s College for instance, was emblazoned with the words ‘No Hair Cuts.’ This was actually retaliation from students, Aadil explained. “A lot of students who attend this school are from the fishing community. They are reacting to the strict rules on uniforms. The school doesn’t allow spiked hair or pants that are too tight – sometimes they cut the student’s hair as punishment,” Aadil explained. Snippets of information like this are what make Instameet unique. The participants take care not just to capture iconic landmarks or sunsets but also slices of the area’s culture and the daily lives of residents. These conversations have long been a part the Sri Lankan chapter of Instameet , which began when Abdul Halik Azeez (@colombedouin ) floated the idea in 2013 to people attending, ironically, another event based around a social media platform – TweetUp, for Twitter users. @gopiharan  @nazly  @Hayahz  @Ayshmarq  @ApsaraGamage  playing with the idea of doing an #instameet  in #lka  would you guys be interested? “Sri Lanka has a tradition of online communities meeting in real life… such as the open mic events for users of blog aggregator Kottu,” Halik said. “I saw people hosting meet-ups all over the world on Instagram, and I thought it would be interesting to have one here too, so I asked people whether they would be interested.” The answer was yes. Nazly Ahmed (@nazlyahamed ), one of the organisers of this year’s Instameet comments that “Instameet hasn’t been commercialised. Brands often try to hijack an event, but here we just try to keep it simple – it’s about connecting with the community and exploration. You can try much more things together as a group than if a brand was involved,” Nazly added. Since that first meetup, there have been changes, not just in terms of participation but also in the way Instagram itself has been used. Another change was the shift from using smartphones to cameras to take photos. The result meant that there were fewer photos instantly uploaded using this year’s hashtags. “I think when people are on the move, it becomes cumbersome to stop and upload photos. Also, it’s about what each user is most comfortable with. Personally, I try to capture emotions. I like to get close to my subjects – and a DSLR helps me capture that,” Nazly explained. Hashinika Abeygunasekara (@hashiabey ) said that it was actually after attending an installation of Instameet, held in Kompannaveedya, that she was inspired to buy a camera and more seriously pursue photography. 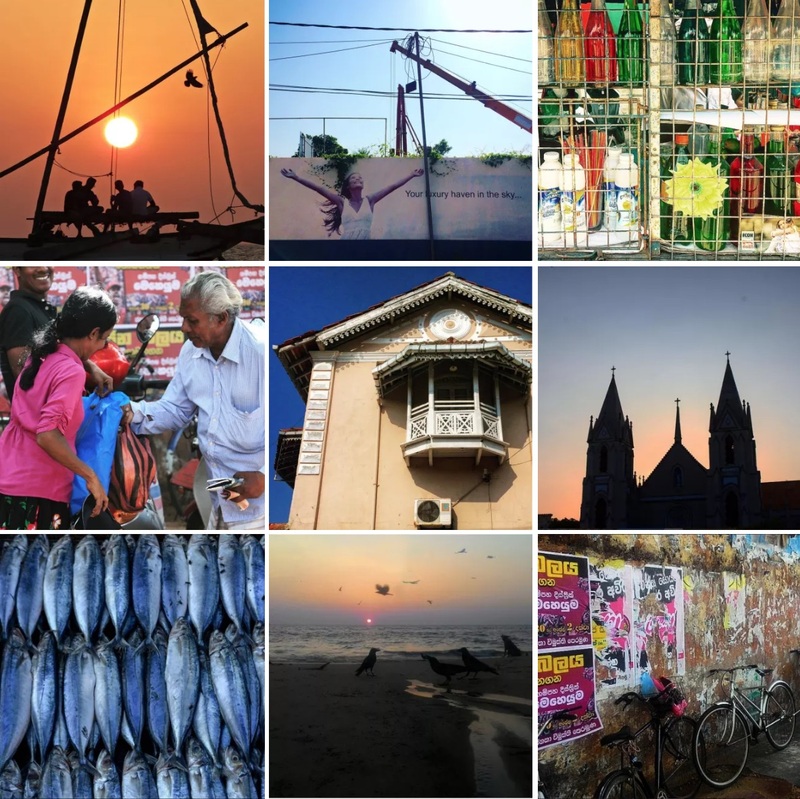 While there have been shifts in the way people use Instagram, one aspect hasn’t changed – and that is the participants desire to capture the essence of the locations they visit. Beyond Instagrammers connecting with each other, the participants also connected with the environment and the different people they met along the trail. This year’s event kicked off from near the Negombo lagoon. The participants visited the old market on Sea Street, St. Mary’s Church and the fish market before looping back to walk along the canal, ending up by the beach for sunset. 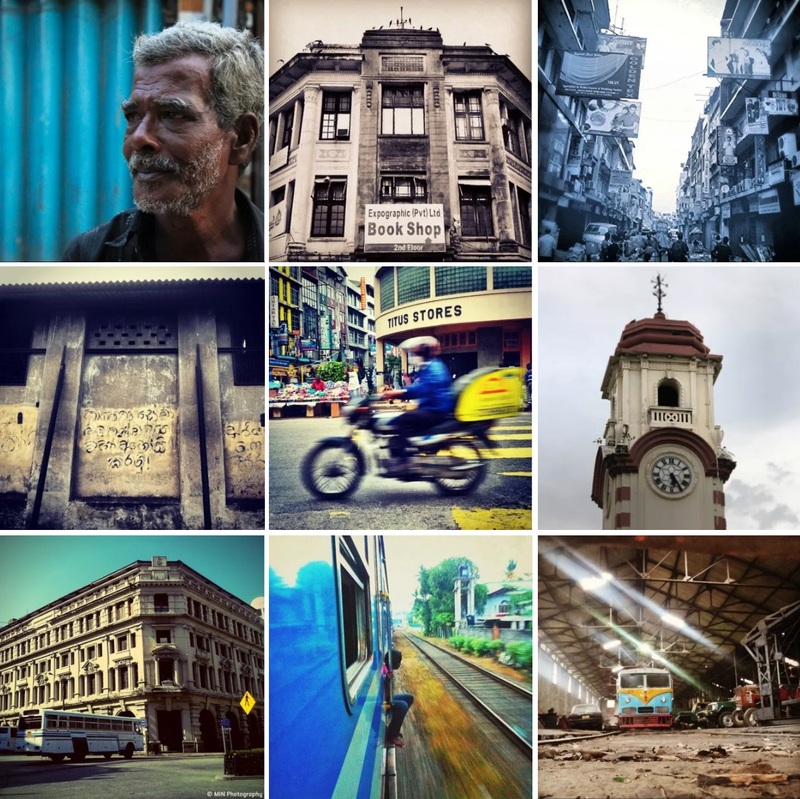 The rest of the photos from this year’s Instameet can be viewed through the hashtag #wwim15srilanka .